The IAEA offers challenging assignments in a stimulating multicultural workplace. It has around 2,500 staff members from over 100 countries with expertise in a variety of scientific, technical, managerial and professional disciplines. Most staff members work at the Agency's headquarters in Vienna, Austria. 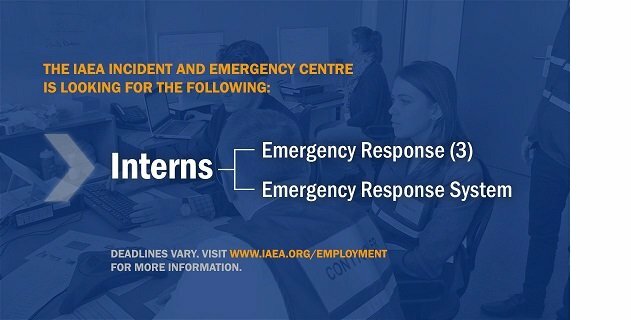 CALL FOR APPLICATIONS: @IAEAIEC Internships University students in the field of Nuclear Engineering, Nuclear Sciences, Engineering, Computer Science, etc.